Our 2013 Birdorable Bonanza rolls on with the addition of a new parakeet species! Today's Bonanza bird is the Blossom-headed Parakeet. The Blossom-headed Parakeet is a beautiful species of parrot found in India and parts of Southeast Asia. 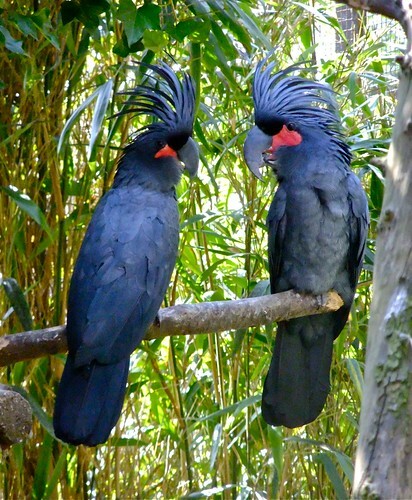 These gregarious birds prefer a forested habitat. Groups roost communally and feed together; they nest in tree cavities. Blossom-headed Parakeets are closely related to the similar-looking Plum-headed Parakeet. Male Blossom-headed Parakeets have a pinkish head; females heads are a dull blue-grey color. Blossoms are part of the diet of these birds - they are what they eat! Tomorrow we'll add an African bird of prey. What do you think of this silhouette? The parrots, parakeets, macaws, conures and cockatiels in this image flock together to make up a heart to wish you Happy Valentine's Day! The birds featured in this design are: African Grey Parrot; Alexandrine Parakeet; Barred Parakeet; Black-cheeked Lovebird; Black-collared Lovebird; Blossom-headed Parakeet; Blue-and-yellow Macaw; Blue-crowned Conure; Cockatiel; Derbyan Parakeet; Eastern Rosella; Eclectus Parrot; Fisher's Lovebird; Golden Conure; Golden-capped Parakeet; Golden-winged Parakeet; Gray-headed Lovebird; Green-cheeked Parakeet; Lilian's Lovebird; Maroon-bellied Conure; Monk Parakeet; Orange-fronted Parakeet; Pacific Parrotlet; Rosy-faced Lovebird; Plum-headed Parakeet; Red-headed Lovebird; Red-masked Parakeet; Red-tailed Black Cockatoo; Rose-ringed Parakeet; Scarlet Macaw; Senegal Parrot; Saint Lucia Amazon; Umbrella Cockatoo; White-fronted Amazon; and Yellow-headed Amazon. For 18 days we're adding a new Birdorable bird every day as part of our Birdorable Bonanza 2010. Today's bird is the Chattering Lory. 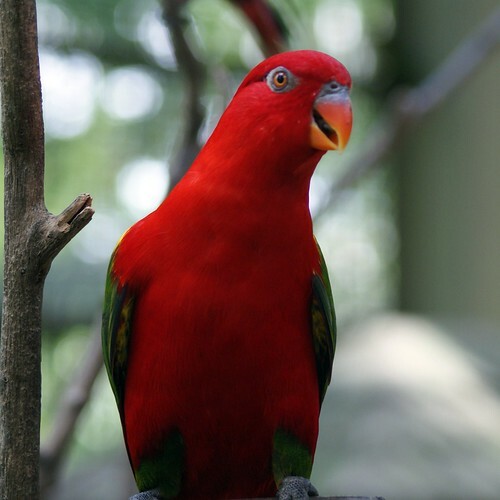 The Chattering Lory is a beautiful species of parrot native to parts of Indonesia. 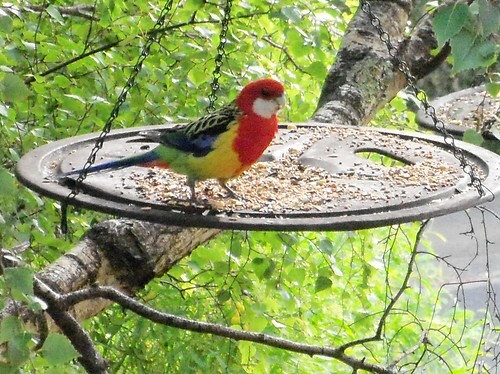 They have gorgeous bright red heads and bodies, with green wings and orange beaks. Tomorrow's bird is a beautiful North American duck. Can you guess what it is?